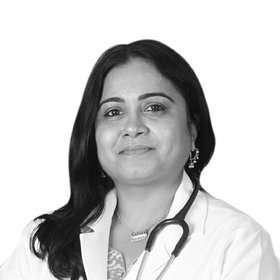 Dr. Ghazala Shaikh brings with her 22 years of clinical exposure in the OB-GYN field with working experience both as Specialist OBGYN in Military hospitals in India and an active consultant at several private hospitals in India and Saudi Arabia. She obtained her medical degree at the prestigious BJ Medical College, Pune, India and stood first in Ob/Gyn in Pune University. Thereafter, she had her specialty training in OB-GYN at Sasoon General Hospital Pune, India, well known tertiary care center for maternity and gynaecological services. She has an intense interest in research and field works. Exposed to a vast number of different cases and patients, she has a strong ability to work under extreme pressure of childbirth and delivery procedures. She has conducted/facilitated lectures and seminars to women of reproductive age and allied health workers on issues concerning reproductive health, hygiene and disease prevention.